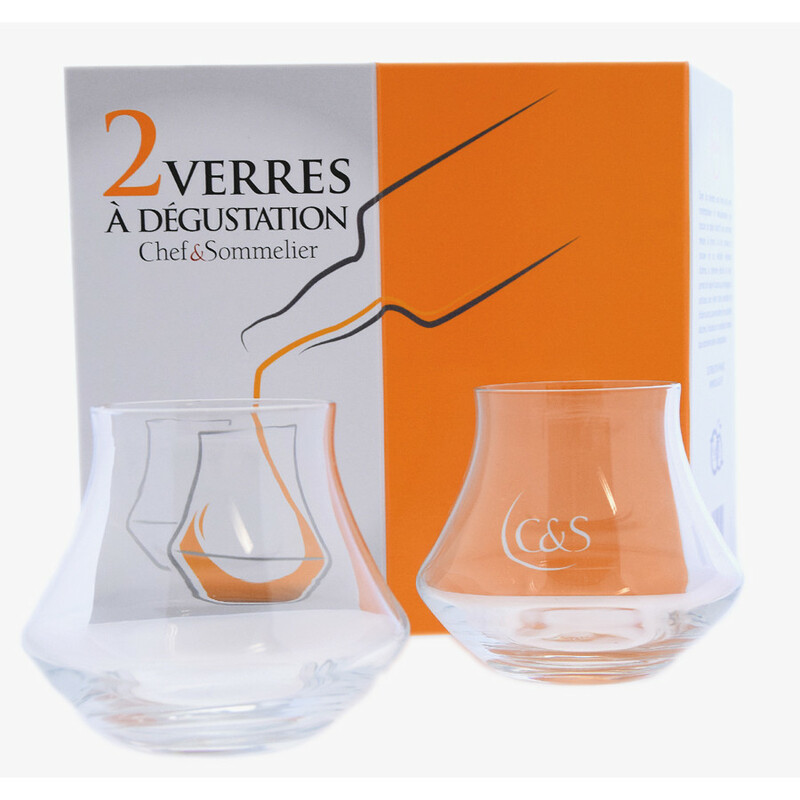 Gift set of two convex and concave glasses for whisky or rum tasting. This gift set of two glasses is ideal to savour rum and whisky. Its contemporary form, convex and concave, concentrates, regulates and releases flavours and alcohol fumes. For a perfect tasting, the Warm glass is the ultimate utensil. The glasses are screen printed C&S.